Increasing improvements to blockchain technology — which allows for the transfer of ownership without the use of a centralized third party (such as a bank) — has resulted in the mass availability of blockchain “smart contracts.” A smart contract is a prewritten software program that automatically performs each party’s obligation in an “if-then” format, while taking advantage of blockchain’s decentralized verification system. Uber-secure cryptocurrencies, such as bitcoin, use the same type of verification systems. A simple example is this: If Party A pays a certain amount and the payment is verified, then the title to Party B’s property is automatically released to Party A and can be automatically updated with correct ownership information. These smart contracts are extremely tempting. They could easily increase the efficiency of your business, as well as save money that previously went to third parties. Smart contracts are becoming more popular in segments such as real estate, healthcare and securities, primarily due to these potential gains in efficiency and cost. However, this silver bullet of efficiency and lower cost doesn’t come without potential problems. First, will a court even consider a computer program to be a binding contract? Second, if disputes arise, where can the parties sue? Last, do the parties have to go to court, or is the less-expensive option of arbitration available? Offer/Acceptance: Is It Even a Binding Contract? Typically, contracts are binding and enforceable under the law if the required legal process is followed. One side makes an offer, the other side accepts that offer, and there is some sort of consideration underlying the transaction. With a smart contract, however, the parties aren’t necessarily making and accepting offers — they are consenting to a mutually agreeable computer program that outlines the if-then conditions regarding the transaction between the parties. In the eyes of a court, this by itself may not create a binding agreement. If the agreement is not binding, it may be tough to recover damages down the road. To rectify this issue, the smart contract should include a clause detailing the agreement between the parties; for example, that this contract is regarding the sale of real estate, and that Party A agrees to exchange the deed for the property (or the use of an apartment for a night, or the title to a car, or whatever the contract is for) for the specific sum that shall be provided by Party B. Without this clause, the program is merely a set of conditions. With this clause, the rest of the program becomes the conditions to this already-specified agreement and is much more likely to be enforced. Simple, but extremely helpful. Jurisdiction: Is the Area of Jurisdiction Clearly Defined? There is a difficult jurisdictional issue on the horizon for blockchain technology. With the blockchain’s decentralized transaction system, where the contract actually became final and binding is a question the courts have yet to answer. Theoretically, a court could find that a party could sue wherever validation of the transaction took place. With potentially thousands or even millions of peers validating transactions all over the country, parties could be sued in random places anywhere in the entire United States. The solution for this problem is a forum selection clause. A forum selection clause says that the parties agree to resolve any disputes in one particular jurisdiction. Though it is occasionally a spot of contention between the parties if each party wants their own city as the jurisdiction selected, this clause lowers the risk of being sued at any time anywhere in the country. Dispute Resolution: Does It Have a Clear Dispute Resolution Mechanism in Place? Last, if the contract is silent, the parties are automatically required to resolve any issues in state or federal court. This can be an expensive and lengthy process. If the parties agree and add a dispute resolution clause, the parties could resolve their disputes in front of an arbitrator instead. Though arbitration has been vilified recently as the tool of big business, the contract could state that both parties must agree to the arbitrator beforehand or that a neutral third party — such as the American Arbitration Association — could make the choice. This would eliminate any potential bias on the part of the arbitrator, as it would be the neutral third party, not either of the invested parties, choosing the arbitrator. Further, the parties could ensure that the arbitrator had some knowledge and experience with blockchain technology. 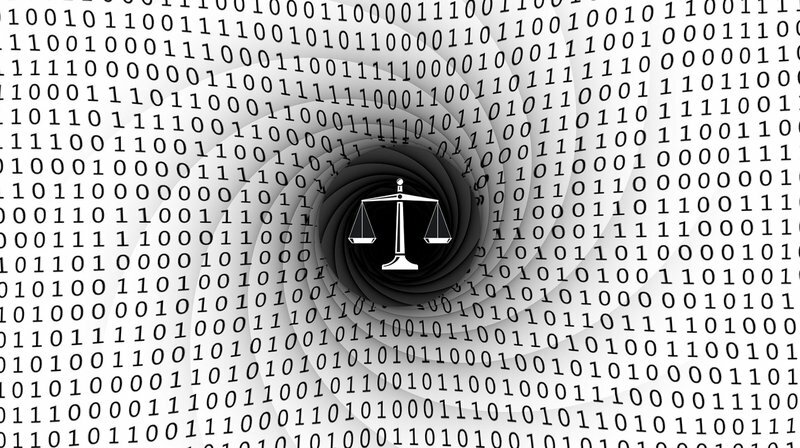 Most judges today may not have even heard of this technology, much less conversant in the ins-and-outs of program complexities. Including a dispute resolution clause requiring that the arbitrator have some blockchain experience may be a benefit to both sides. Smart contracts may be the future of transactions. However, the technology is in its infancy and has not been thoroughly examined by state or federal courts. There are a number of potential issues, such as offer/acceptance, jurisdiction and dispute resolution. Thus, while this technology may be extremely useful for certain transactions now, it should still be considered best practice to hire a lawyer for important or complex contracts, such as the sale of IP or complex services. This is a guest post by Gregg D. Jacobson,an attorney in the Commercial Litigation and Construction practices at Chamberlain Hrdlicka (Atlanta). The views expressed are his own and do not necessarily reflect those of BTC Media or Bitcoin Magazine. This article is for informational purposes only and does not intend to give legal advice.